A woman's hilarious, bittersweet account of growing up in a family of career-shunning, dependence-seeking women and her journey to a state of twenty-first-century self-reliance. Julie Klam was raised as the only daughter of a Jewish family in the exclusive WASP stronghold of Bedford, New York. Her mother was sharp, glamorous, and funny, but did not think that work was a woman's responsibility. Her father was fully supportive, not just of his wife's staying at home, but also of her extravagant lifestyle. 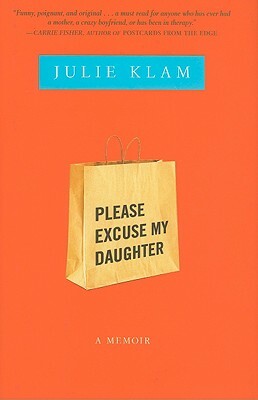 Her mother's offbeat parenting style-taking Julie out of school to go to lunch at Bloomingdale's, for example-made her feel well-cared-for (and well-dressed) but left her unprepared for graduating and entering the real world. She had been brought up to look pretty and wait for a rich man to sweep her off her feet. But what happened if he never showed up? When Julie gets married to a hardworking but not wealthy man-one who expects her to be part of a modern couple and contribute financially to the marriage-she realizes how ambivalent and ill-equipped she is for life. Once she gives birth to a daughter, she knows she must grow up, get to work, and teach her child the self-reliance that she never learned.